Is Stonehenge an Overhyped & Overrated Tourist Trap? 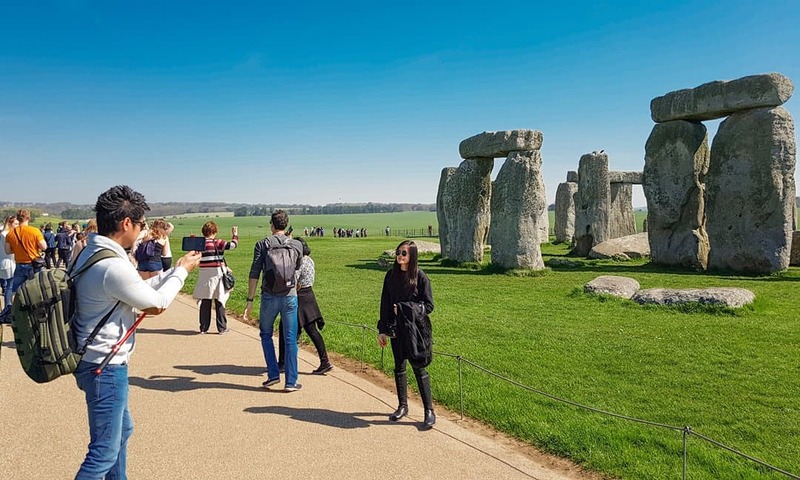 In August 2018 an online travel website listed Stonehenge as one of the World’s 15 “crappy tourist traps” you should avoid at all costs. Stonehenge is indeed a very popular attraction and this certainly impacts on visitor expectations in different ways. 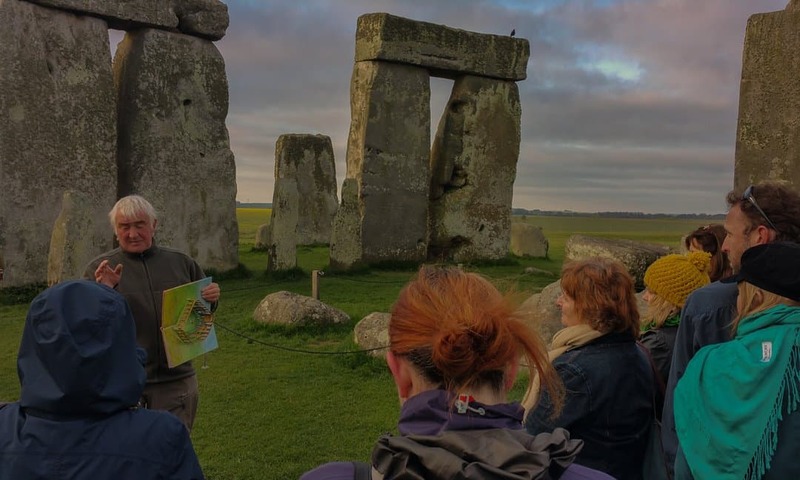 Here Thomas provides a few tips for visiting Stonehenge to make your experience a memorable one. Dawn from within the inner circle at Stonehenge. Of course, as the author acknowledges, there will be differing personal opinions. But suggesting first time visitors to Paris should see the Eiffel Tower but skip the Mona Lisa strikes me as bizarre. The crowds at the iconic landmark are all but infinitely bigger than anything anyone will encounter in front of the iconic painting in the Louvre. And these days, the security presence at the Eiffel Tower is necessarily much more intrusive than the protective glass covering the Mona Lisa and the modest railing preventing visitors getting too close. The stone circle on a sunny day just before midday. Stonehenge, those enormous stones erected in prehistory on the Salisbury Plain in Wiltshire, south west England, is also on the list. Besides the crowds spoiling your enjoyment, apparently the stones are not big enough. Instead readers are directed to the “tons” of other more impressive stone circles around the United Kingdom. Indeed there are many other stone circles in the UK, and I too urge people to visit more stone circles in the Irish and British Isles. True, many of these are in more evocative settings – the author specifically mentions the Calanais Standing Stones on the Isle of Lewis in Scotland. Visitors to Calanais will certainly encounter smaller crowds of tourists. But this is partly because the island is more remote than Stonehenge, and not possible as an affordable day-trip from London for most of us. While I hate to be the bearer of bad news, I should point out that the standing stones at Calanais are noticeably smaller than those at Stonehenge. Suggesting the standing stones of Calanais instead of Stonehenge illustrates how pointless lists of tourist traps to avoid really are. Personal opinions aside, placing the Taj Mahal and Westminster Abbey on a list with the Wall Drug Store in South Dakota and New York’s Times Square is not helpful to anyone visiting those destinations. And anyway, I just want to speak up for Stonehenge. So much so that I go so far as to put the site on a list of 15 sites around the world people should not miss. Of course I accept that not everyone will get Stonehenge, and wonder what the fuss is all about. There is nothing wrong with this view – not everyone is interested in prehistory. So too some visitors will be disappointed by the current arrangements for seeing the stone circle. 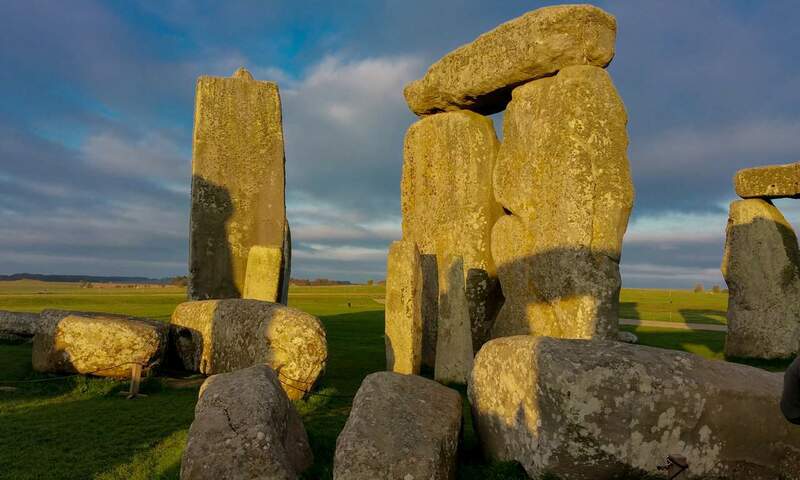 Besides pointing out that experiencing the stones today is infinitely better than it was not that long ago, I suggest a few tips for visiting Stonehenge that I believe will enhance your experience and appreciation of the site. Stonehenge is a popular tourist attraction, and has been for a long time. A lot of people make their own way to the site, but it is also a popular stop on many day trips from London and other cities around the south west of England, including Southampton, Bath and Oxford. 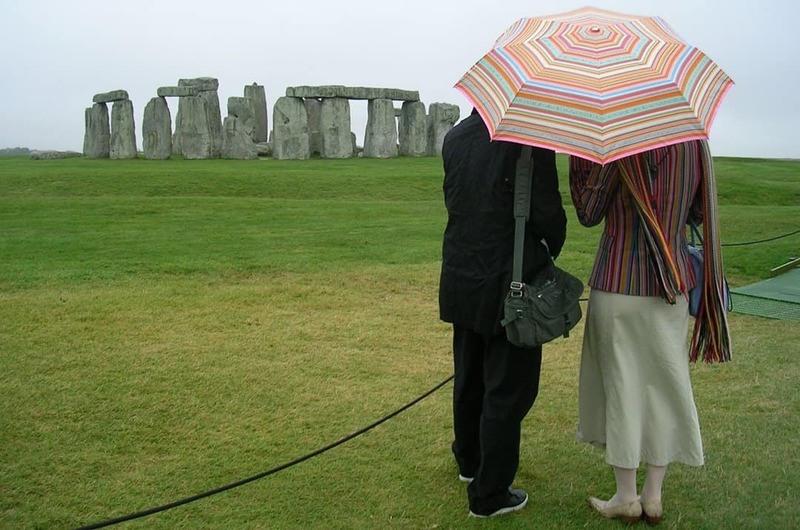 As an aside, there are all sorts of day trips and tours that include Stonehenge in their itineraries. Stonehenge with Avebury, with Bath, Oxford, Windsor Castle and there are also tours that combine Stonehenge with Winchester and Glastonbury. 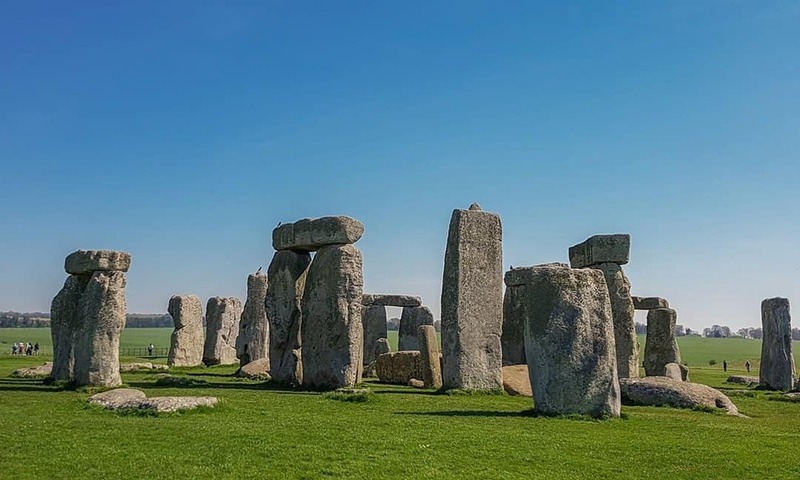 Your options are many, see this comprehensive list of the various day trips and tours that include Stonehenge. With this great range of affordable coach tours come many people. And the first coach loads start arriving at Stonehenge around 10 am in any numbers. When the early arrivals leave, those that originated in nearby cities such as Southampton and Bath, the next group start arriving. And so on. From 10 am to about 3 pm, there is a steady flow of coaches. Stonehenge receives over one million visitors a year. During peak periods, there are over 9,000 visitors a day with queues stretching from the ticket office to the car park – just under one hundred metres. For this reason alone, at busier times of the year you are strongly advised to buy a timed entry ticket in advance. If you are visiting more than just Stonehenge, there is another option. For residents of England, you could buy National Trust or English Heritage membership, which gets you free entry to Stonehenge and many other benefits. For non-residents, there is a 9 or 16-Day Overseas Pass – which gets you free entry to 100 English Heritage properties including Stonehenge. For those driving themselves to Stonehenge, the Visitor Centre and car park is situated on the B3086, easily reached via the A303. Be warned, however, that the A303 (particularly the single-laned stretch between the intersections with the A360 and the A345 – the Amesbury Bypass) can get extremely busy throughout the year. Currently, this is the main route across the south of England to and from Cornwall and Devon. If the traffic is too much, you could park at Woodhenge (just off the A345) and then walk about an hour to Stonehenge across National Trust land seeing many other prehistoric features on this landscape. At a leisurely pace, it will take about an hour to walk to the Visitor Centre – necessary to validate your tickets. Alternatively, avoid the A303 and take the back route following The Packway to the B3036. Everyone wants to remember their visit. To beat the crowds, I recommend getting to Stonehenge as early as you can. From the beginning of June 2018 until the end of August 2018, gates open at 9 am. From the beginning of September 2018 to the end of March 2019 gates pen at 9.30 am. Once you are there, get the shuttle to the stone circle. Once you have finished there you can either return to the Visitors Centre with the shuttle, or you could walk back following designated paths and explore the many other prehistoric points of interest on the landscape. This way you will be ahead of the crowds all the way. Although very few people walk back, certainly not those who arrived by coach as they have a limited time at the site. Alternatively you could leave your visit to the end of the day. Last admission is two hours before closing. From the beginning of September 2018 to 15 October 2018 gates close at 20.00 pm; from 16 October 2018 to 31 March 2019 the site closes at 17.00 pm. Arriving early in the day you can take your time. If all you want to do is walk around the stone circle, this can be done in an hour. If you want listen to the audio guide in full, see the exhibits in the Visitors Centre and explore more of the Stonehenge landscape you will need at least 3 hours. Most people arrive at Stonehenge, look around the exhibits in the Visitor Centre and then catch a shuttle to the stone circle, return and leave. The stone circle is only one small element on the prehistoric landscape. A landscape that still bears the evidence of some 7,000 years of ritual manipulation. From 10,000 year old Mesolithic postholes to 4,000 year old Bronze Age barrows. Many of these are on land owned by the National Trust, and can be seen during your visit to Stonehenge. Pick up a map of the landscape at the Visitor Centre, download the Stonehenge app to your mobile devices (available for both Android and iOS), and head off. It is possible to walk all the way to the stone circle, but if you are pressed for time, you can catch the shuttle to what is called the Fargo Drop Off Point and then walk the rest of the way via the other points of interest. Without doubt my best experience at Stonehenge has been a small group tour at dawn, that included being able to go into the stone circle. I enjoyed it so much I have done it twice! Whatever your views about Stonehenge and the various ideas about why it was constructed, there is something quite special watching the sunrise from amongst the stones. There are two day trips from London that include sunrise tours of Stonehenge. One includes the city of Bath, allowing you to explore the Roman Baths and the spectacular Georgian architecture (see: The Romans and Georgians in Bath). The other includes stops in Oxford and Windsor. Despite having done the dawn tour twice, I have not experienced the stone circle at sunset. Again, a sunset tour of Stonehenge can be taken with either Bath or Oxford and Windsor. Sunrise and sunset small group tours get exclusive access to the inner circle. These tours are so highly recommended they are booked up well in advance. Best Time to Visit – Don’t Let the Weather Put You Off! If you can choose when to visit, then my recommendation is on a clear day during winter or early spring. Although I have never seen sunset at the stones, if you go at the end of the day you will get great views of the setting sun behind the stones looking to the southwest. Otherwise, early in the morning in summer – if you are travelling during June to August. Stonehenge is in south west England. If you do not know the region, it can be very wet – at any time of the year. The stone circle is on the open Salisbury Plain, which can get very windy even on a bright sunny day. But do not let the weather stop you, particularly if you can not change your dates. Just go prepared for wind and rain. Unless you really have no interest in prehistory, I am confident you will be glad you visited. Watch the following video for information on getting to Stonehenge using public transport, biking and hiking included. NextAre Exmoor’s Tarr Steps the Work of the Devil?